Notes: Ken (touchingthelight) and I decided to take a walk around the sea wall from Heybridge Basin to Osea Island today. It was pretty windy, cold and grey, with only brief flashes of sunshine, but at least there was no rain. 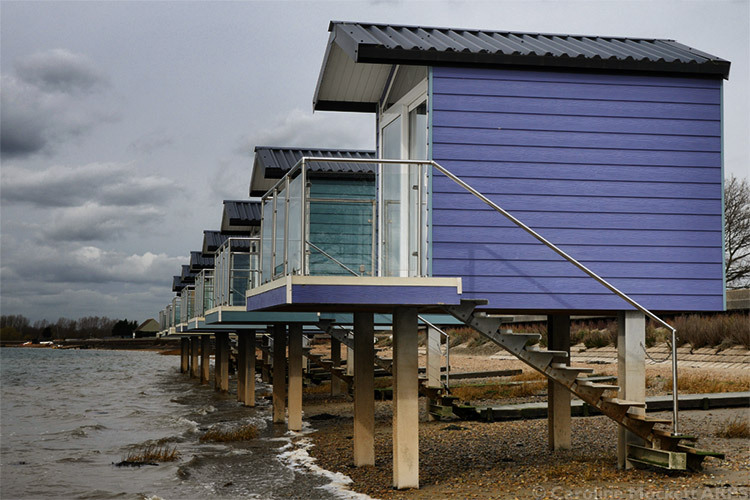 These beach huts promised to be a decent subject for a photo or two, and I managed to get his waterside perspective thanks to wearing my wellies. My feet weren’t too happy about having to wear them by the time we got back to the pub for a nice lunch, but I had stupidly left my walking boots at home! Perfect for Treasure Hunt Theme #3 – March Monthly Project.